Home » Social Media » Will Facebook Go the Way of MySpace? Do you remember MySpace? It wasn’t that long ago that it was the place to be online – at least when it came to social media networks. However, something happened along the way and people left the site in droves. Soon it was a virtual ghost town. What’s interesting is that a lot of people made the switch from MySpace to Facebook and never looked back. First, let’s take a look at some reasons Facebook will end up like MySpace soon. Innovation – The last new thing Facebook tried to release was the Poke app. The fact they stole the idea from someone else didn’t really matter. People hated the mobile app. It’s been a long time since Facebook has released anything innovative. Coolness – Last but not least, you have to look closely at the cool factor. While Facebook was the cool place to be for a long time, as more older people sign up, it becomes less cool in the eyes of the younger audience. Zuckerberg – Some people have said that Mark Zuckerberg is a jerk and that he doesn’t really know how to run a large company. There’s a chance that he may run the company into the ground over the next few years. On the other hand, here are some specific reasons that Facebook may survive for years to come. Momentum – Facebook has built up a huge audience – bigger than MySpace at their peak. This may allow Facebook to continue moving forward for another few years even if they begin losing users. Leadership – One of the things that MySpace had problems with is changes in leadership. Facebook has Mark Zuckerberg. While he’s young, he’s shown he has what it takes to grow a billion dollar company. Innovation – This was in the list above too, but if Facebook gets going and comes up with something new and really innovative, there’s a good chance they’re going to survive for years to come no matter what happens. 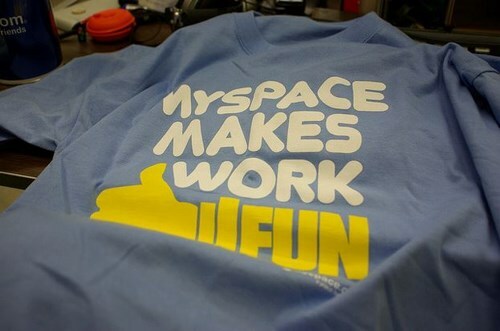 MySpace is still around, of course, but it’s nothing like it was in its heyday. Today the site seems to be struggling to get new members. With Facebook losing a lot of younger members, it’s possible that they may end up dying much like MySpace in the near future. We’d like to hear what you think. Let us know your age and whether or not you’re still happy with Facebook as a social media home online. Written by: Heidi Jensen is working at nyc SMM.likes to use Lawyer SEO Services from SmithSEO because they make it easy to get everything done right the first time. She also likes to ride bicycles in Tampa, Florida with her older boyfriend.